Communities are becoming much more concerned with protecting the environment. If you are the owner of a business or simply a concerned citizen, focusing on being greener could help save you money and lessen environmental footprint. There are many ways to invest in eco-friendly business practices, but one simple, yet effective change is to switch to Kraft Napkins. Have You Heard About Morcon’s Kraft Napkins? If you’re looking for ways to reduce your environmental footprint without breaking the bank, then you’ve come to the right place. Our Kraft napkins are an environmentally friendly and economic solution for various applications. Not only are these commercial products durable, absorbent, and ideal for high-traffic areas, they are also free from dyes, BPA and other harmful substances. Their brown coloring is a reminder that they weren’t made with harsh chemicals containing bleach or chlorine dioxide. 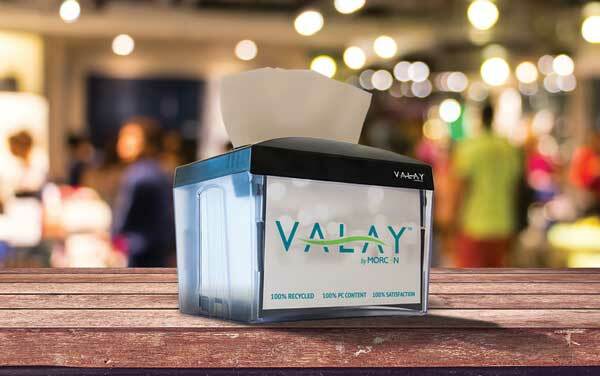 Valay™Interfolded Napkins reduce consumption and waste up to 25% when combined with the Valay™NT111 one-at-a-time napkin dispensing system. 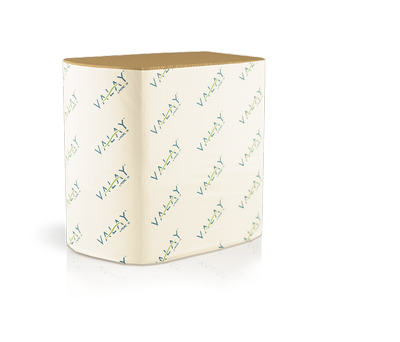 Encouraging customers to use fewer napkins, Valay™Interfolded Napkins are ideal for high-traffic venues looking for an economical, but environmentally friendly option. Quick-service restaurants, stadium concession stands, office breakrooms, ice cream shops, pizzerias, and cafeterias can all benefit from these high-quality, disposable napkins. Overall, you can become more environmentally friendly by embodying the three R’s in your place of work– re-use, reduce and recycle. According to the US Environmental Protection Agency, Americans are producing waste that could fill 63,000 garbage trucks every day. What many people don’t realize is that half of the garbage we throw out can be reused or recycled. Need a reminder about what can be recycled? Any step you take towards making your business eco-friendly is a step in the right direction! But keep in mind that investing in kraft napkins is one simple way to get started today. Go kraft in a quick-service restaurant, concession stand, breakroom, candy shop, deli or other food-serving environment, and this small change can have a big impact (on both your bottom line AND the environment). To learn more about this eco-friendly, affordable option call 518-677-8511. Design by Trampoline Design | Development by Mannix Marketing, Inc.